Andrea's Random Lil' Blog: Asobi Seksu: Newton's rec, brilliant! 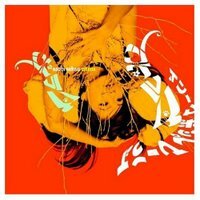 Asobi Seksu: Newton's rec, brilliant! I have just received a message from my friend Newton, with a suberb CD recommendation. The band is called Asobi Seksu, and consists of one Japanese female vocalist (Yuki) and three American guys. They are said to be one of the best New York bands nowadays, and you can sample their last CD, Citrus, on their website! I am now listening to the tracks (samples, samples, very very short!) and loving it, so, this must be the First on my wish list now. 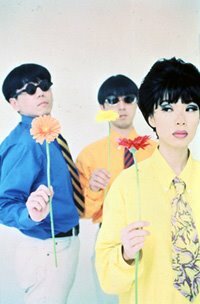 Newton thinks they sound a bit like Cocteau Twins, which I love, especially Yuki's voice. Still according to him, it can be compared - to some extent - to Cocteau's vocalist Liz Fraser, and I pretty much agree. Newton also mentions some simmilarity to Lush - but I must say I don't know them to agree or disagree (another group being added to my wish list, it seems!)... What I think is, if you like the style of Cocteau Twins and My Bloody Valentine as well, this is a must-try, must-have, whatever! A must. It's really catchy and atmospheric. I am enchanted, aaaahhh... And mind you, all this enthusiasm coming just from hearing the samples.